Unfortunately, it is all too easy to “exit” from your spouse and from your marriage by logging onto social media sites like Facebook. There are many Facebook and divorce stories specifically with regards to how Facebook destroyed their marriage- or rather, destroyed their spouse’s willingness to participate in the marriage. Is Facebook reigniting old flames? And if so what you can do about it! Have you also read or heard about Facebook and divorce stories? 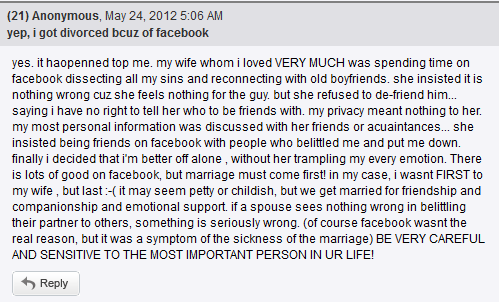 The true story pictured above is an actual comment that someone posted after an article that we wrote earlier called Facebook and Divorce was published on a fairly large news and lifestyle website. 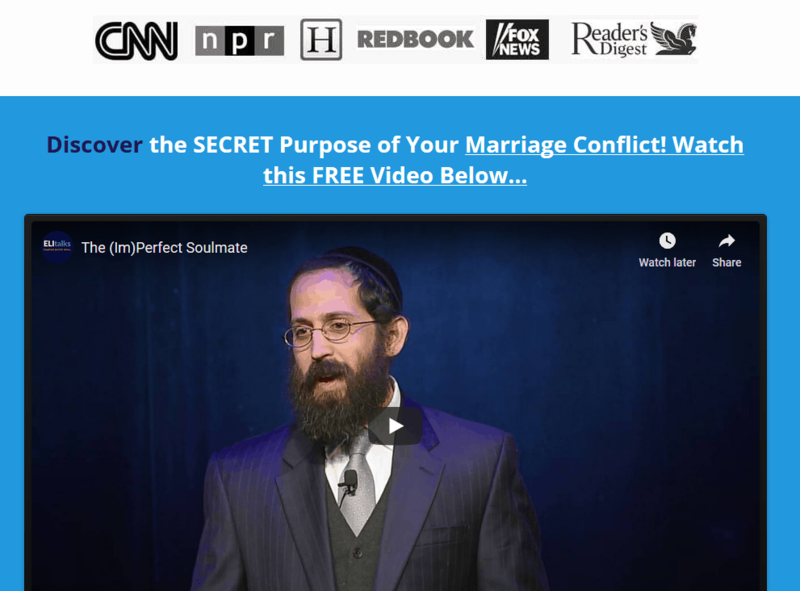 We’re posting this particular “How Facebook Destroyed Marriage Story” because we have seen many couples where Facebook has had a negative effect on their relationship. 1. Facebook is an “exit”: Although we all need to use our best judgment, Facebook provides easy access to disconnect from our spouse and connect with someone else. 2. 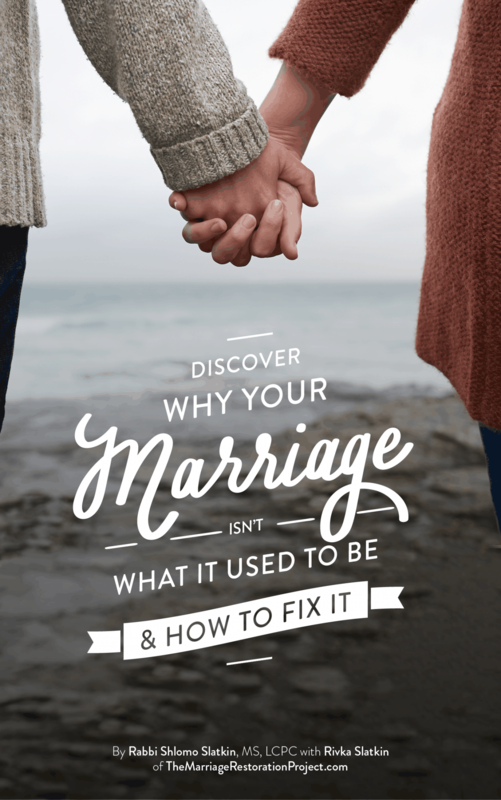 Comparing to others: Ultimately, it is a symptom of greater marriage problems that need to be addressed, but people can be easily snared and are impressionable and it is not helpful comparing your marriage to others Facebook appearance. 3. Privacy: One of the most special things about marriage is privacy. Nowadays, people seem to want to write everything about their personal lives on Facebook. I was on a call with someone that said that her marriage is not what it should be, because she sees all of these people that have really happy marriages on Facebook. Know that what you see on Facebook is not necessarily what is going on in reality. That clarity and awareness alone will be helpful to you. If Facebook is affecting your marriage negativity, you need to intervene quickly to reverse the negative path that your marriage is on. 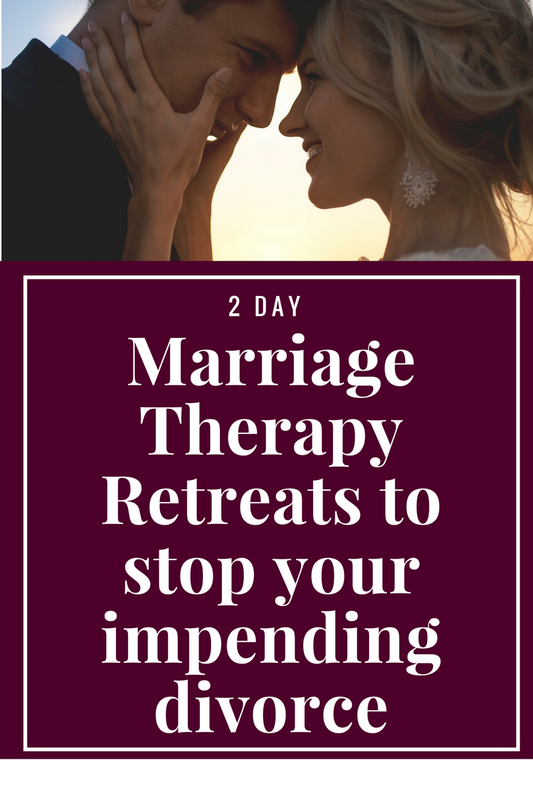 Talk with us today about our 2 Day Marriage Restoration Retreat. It’s the fastest way to fall back in love again, detox negativity, and reclaim the relationship that you’ve always wanted. Your family deserves this.